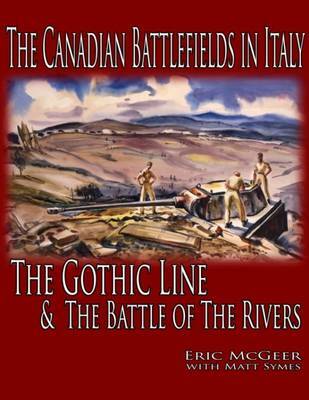 The third of the LCMSDS battlefield guides to concentrate on the Canadian forces in Italy,The Canadian Battlefields in Italy: The Gothic Line and the Battle of the Riverscontinues the journey through the Gothic Line, Canada's greatest battle of the Italian Campaign, and on to Ravenna, where Canadian soldiers fought doggedly against the enemy and the elements in a remote corner of the war. The guidebook offers a broad introduction to the campaigns, concise summaries of each stage of the fighting, and itineraries that allow Canadian visitors to explore the battles from the most important perspectiveathe physical setting itself. Three-dimensional maps familiarize readers with the landscape and features that affected the course of the battles, while contemporary photos and war art recapture the scene as contemporaries saw it.